Located across the street from Sundermeier RV Park is a lovely city park with a playground and basketball court. Also adjacent to the park is the Katy Trail State Park that has wonderful hiking and biking trails. Sundermeier is just minutes from two nationally registered Historic Districts: South Main Street and Frenchtown, which offer interesting museums & shopping. 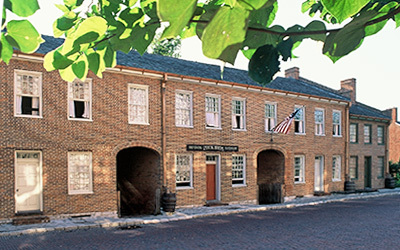 Sundermeier RV Park welcomes you to Historic Saint Charles: Where History Comes Alive Every Day. This is the permanent home of the replicas of Lewis & Clarks boats. The facility also showcases a large collection of unique historical artifacts, as well as plants and animals that Lewis & Clark found on their journey. Unique architecture is the one phrase that best describes Frenchtown. Settled by the French in the early 1800s, Frenchtown is located on the north end of Second, Third and Fourth Streets. The vernacular French colonial house design is unique to Frenchtown, Ste. Genevieve, New Orleans and Quebec. Frenchtown is further distinguished by its German built brick renditions of the French colonial style. Just west of St. Louis youll find St. Charles, a river city with a unique historical perspective, beautiful sites, friendly people and a pace just a little slower than that of the big city. Founded as Les Petites Cotes (The Little Hills) by French Canadian fur trader Louis Blanchette, Saint Charles, MO grew into a thriving riverfront trading center for a young America. The First Missouri State Capitol Historic Site is a state owned property in St. Charles, Missouri. The state preserves the building that served as Missouris capitol from 1821 to 1826. Step into history at the Historic Daniel Boone Home at Lindenwood Park. 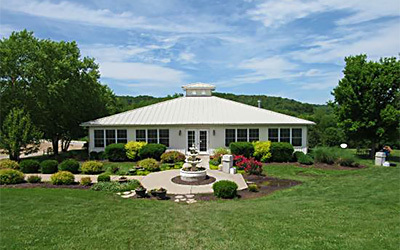 The Boone Home is nestled upon the rolling hills of wine country and overlooks the Femme Osage Valley. This beautiful setting represents life in the early 1800s from its adventures to its lifelong struggles. Early explorers and pioneers made St. Charles their place of choice for shopping in the 19th century. Today, you can walk those same brick-lined streets, along the ten block nationally registered historic district, and shop in those same buildings. You will find unique specialty items, home accessories, jewelry, and many other one-of-a-kind gifts. Augusta Winery, founded in 1988 by Tony Kooyumjian, is located in the scenic town of Augusta, Missouri which is nestled on the bluffs overlooking the Missouri River Valley. In 1980, Augusta was recognized as the first U.S. Wine District, or Viticultural Area #1, because of its unique soil, climate, historical significance, and quality of wines. These wines are produced from grapes grown in vineyards that date back all the way to the 1800’s. Balducci Vineyards shares its Italian heritage through great food, excellent wine, and a little entertainment! Voted "Favorite Winery" for the last 10 years! Early in the 21st century, the current owners of Chandler Hill set a goal to create a Midwest winery like no other. Construction began in 2007 with the creation of a winery that is ideally situated on a hilltop at the entrance to Missouri wine country. The Augusta region was nationally known for its wine during the 19th century, but prohibition halted the state’s wine making for decades. Then in the late 1960s and early 1970s, a few pioneering souls began to refurbish the old vineyards and winery buildings. One of these pioneers was Clayton Byers, who founded Montelle Vineyards in 1970. The winery was later purchased in 1998 by present owner and wine maker Tony Kooyumjian. With more than 150 years of wine making excellence, Mount Pleasant Estates is what every Missouri winery aspires to. Experience the serenity of relaxing on Mount Pleasant’s patio with views of the sweeping vistas. Enjoy a meal artfully prepared by the chef in residence at Mount Pleasant’s Appellation Café. Discover the charm and history of old world wine making. Taste the richness and variety of Mount Pleasant’s award-winning wines. Noboleis Vineyard is the perfect escape from the hustle and bustle of everyday life, for its a place where you can enjoy the finest quality wines while admiring the beauty of a place worth reveling in. Noboleis Vineyard is upon 10 acres of plush land and inhabits panoramic views of the countryside. Nestled in the heart of Missouri Wine Country on a lofty river bluff rising from the Katy Trail, Sugar Creek Winery is the perfect experience. This family owned business situated in a turn of the century Victorian home, is surrounded by their beautiful vineyards. Multiple award-winning wines are created entirely on location. One of Missouri’s most award-winning wineries. On a hill overlooking Hermann, Stone Hill’s tranquility is accented by spectacular scenery. Take a guided tour of the cavernous arched underground cellars before settling in for a wine tasting in one of three tasting rooms. Featured in “Better Homes and Gardens”, the 42 acre farm provides a relaxing country atmosphere. The lovely century old home overlooks the beautiful Missouri River valley and is surrounded by many patios, ponds with waterfalls, swans and ducks, gift shops and display gardens. The restaurant & wine garden is open for lunch daily to further enhance your experience. St. Charles Antique Mall has been voted the #1 Antique Mall in St. Charles County since opening in 1994. This store has a large variety of antique, vintage and collectible merchandise at affordable prices. The store is 92,000 square feet of outdoor excitement including the areas largest selection of quality gear for fishing, hunting, camping, boating and marine. Much more than a hunting and fishing store, however, Bass Pro Shops also offers equipment for hiking, backpacking, outdoor cooking and more. Cabelas is a retail mainstay stocking a huge inventory of hunting, fishing & camping supplies, plus boats & ATVs. St. Louis Outlet Mall, formerly St. Louis Mills, is a shopping center in Hazelwood, just off Route 370. 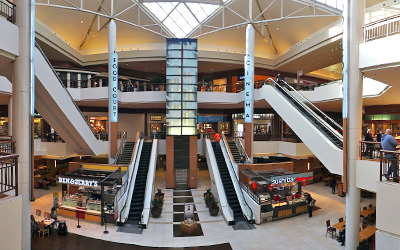 When it opened in November 2003, it had over 200 specialty shops and 8 anchor stores. The newest addition to the mall is a 130,000-square-foot Cabelas store that opened on April 13, 2007. Free shipping. Free returns. All the time. 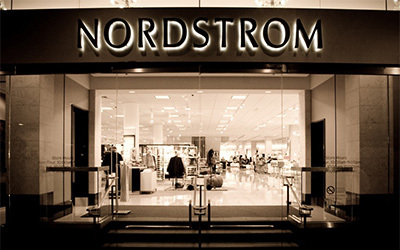 Shop for shoes, clothing, jewelry, dresses, makeup and more from top brands. Make returns in store or by mail. Where else can you take friends of all ages and keep them entertained all day? On one side, Demolition Ball, the action packed game played in bumper cars. 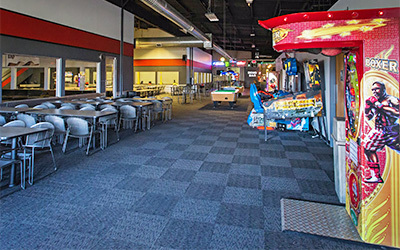 On the other, Adrenaline Zone, one of the largest multi-level laser tag arenas in the state. 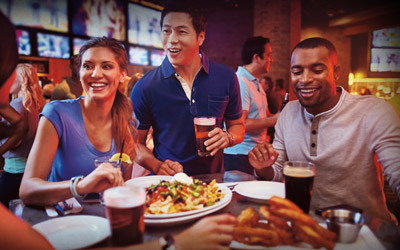 In the middle of all the action are video games, pool tables, foosball tables and plenty of room for up to four hundred of your closest friends. Interested in a half-hour stroll or a five-day bicycle journey across most of the state? Whatever you prefer, Katy Trail State Park can be your answer. The park is the nation’s longest rails-to-trails project, stretching between Machens and Clinton. Theres enough variety to keep you interested with shaded areas, open fields, impressive Missouri River bluffs and quaint communities along the way. 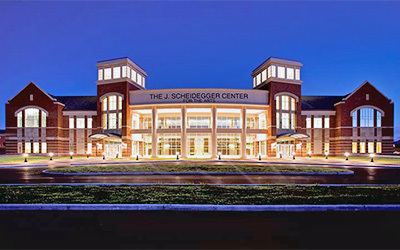 J. Scheidegger Center for the Arts was opened in 2008 in St. Charles on the campus of the Lindenwood University as a state-of-the-art, $32 million, 138,000-square-foot educational and performing arts complex. The Shrine of St. Philippine Duchesne in St. Charles is a lasting tribute to the French missionary Religious of the Sacred Heart who brought formalized education and a zeal for sharing the love of God to the Missouri frontier in 1818. With the current influx of classic car dealers both local and national, there are more and more horror stories from good people who have had less than satisfying experiences buying and selling cars in the collector market. As a reputable dealer with over 20 years in the business, they want to make every possible assurance that buying a Fast Lane car is the only way to invest in a vintage vehicle. When it opened in 1998, Bear Creek Golf Club was the first 18 holes public golf course in the city of Wentzville. The course is one of the premier public facilities in St. Charles County. The full service pro shop offers annual passes to the surrounding homeowners and general public. Theyve been fueling the need for speed since 1957 with their 1/2 mile, outdoor go-kart track. The go-karts, sprint-karts, double-karts, and super-karts are designed to thrill speed seekers of every age and skill level. Visit one of the longest & most exciting go-kart tracks in the Midwest. This track is complete with banked turns, s-curves, and plenty of long straightaways to put the pedal to the metal! Golfers of all skill levels are sure to enjoy the picturesque setting of the scenic facility located in West St. Charles County. The course will challenge all who come to play. The front nine, recently built in 1994, offers lush, tree lined Zoysia tee boxes and fairways. The back nine, known as the signature nine, was built in 1964. The back presents Zoysia tee boxes and fairways with small bentgrass greens demanding accurate approach shots. People dont want to be judged, gawked at or hassled when working out. Everyone has different goals when they start, but everyone wants results. Helping their members look and feel their best is why men and women of all ages and abilities keep coming back. 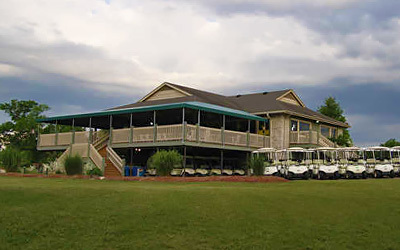 Saint Peters Golf Course offers you a fun, affordable time on the links. As a community facility, they pride themselves on providing incomparable service. Come and see why so many regular customers keep coming back. Play 9 or 18 holes of golf, dine in the clubhouse, enjoy the Wi-Fi, and shop for golf clubs and golf accessories in the pro shop. 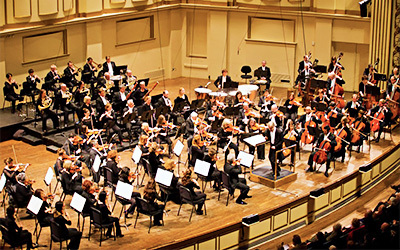 Founded in 1880, the St. Louis Symphony is recognized internationally as an ensemble of the highest caliber, performing a broad musical repertoire with skill and spirit. The St. Louis Symphony continues to build upon its reputation for musical excellence to this day. 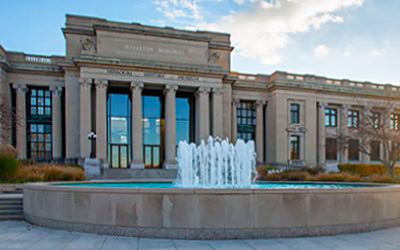 Once the largest and busiest passenger rail terminal in the world, St. Louis Union Station now serves as one of America’s great historic tourism destinations and event spaces. St. Louis visitors can now tour the elegant 120 year old National Historic Landmark including Grand Hall, the jewel of St. Louis Union Station, which now features an innovative high-definition projection map that is dazzlingly projected on the Grand Hall’s 65-foot tall ceilings and across the space. 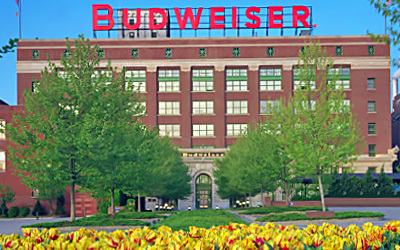 The tour of the St. Louis brewery (founded 1852), located next to the Anheuser-Busch World Headquarters, puts a face on the world’s largest brewer. As the tour guide leads you from the tour center to the Budweiser Clydesdale paddock and stable, lager cellar, Brew House, Lyon’s Schoolhouse, and Bevo packaging plant, a sense of history and the smell of hops surround you. Kimmswick offers a chance to step back into the less hurried days of the 1800s. Enjoy a walk through a beautiful town with many one of a kind shops that will inspire you. The cordial atmosphere of the restaurants will remind you of a time long past. Almost a century ago, August A. Busch Jr.s father purchased a piece of Missouri farmland once plowed and planted by Ulysses S. Grant. Today, the country estate of the Busch family, Grants Farm, is preserved as a home for more than 1,000 exotic animals from six continents. 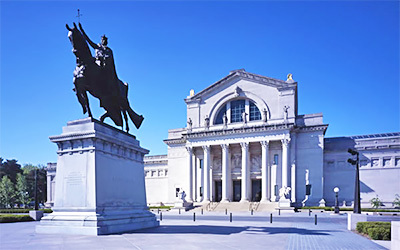 The Saint Louis Art Museum is one of the principal U.S. art museums, with paintings, sculptures, cultural objects, and ancient masterpieces from all corners of the world. Hollywood Casino St. Louis is a riverboat casino in Maryland Heights, near St. Louis. 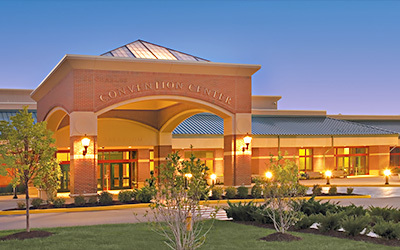 It is owned by Gaming and Leisure Properties and operated by Penn National Gaming. The casino has 120,000 square feet of gaming space, with 2,180 slot machines and 80 table games. New exhibit galleries have just opened at the Old Courthouse which cover the history of early St. Louis and its role in the westward expansion of the United States. The galleries feature many of the most popular artifacts and stories from the Museum of Westward Expansion while it is being renovated over the next two years. When the theater opened on January 31, 1929 it was reportedly the second-largest theater in the United States, with 5,060 seats. It was one of St. Louiss leading movie theaters through the 1960s and has survived to become a versatile performing arts venue. The garden is a center for botanical research and science education, as well as an oasis in the city of St. Louis. The garden offers 79 acres of beautiful horticultural display, including a 14 acre Japanese strolling garden, Henry Shaws original 1850 estate home, and one of the worlds largest collections of rare and endangered orchids. The Magic House: St. Louis Children’s Museum is a family tourist attraction with hundreds of hands-on exhibits and activities that are both educational and fun for kids from 1 to 101! During the school year, there are special areas for preschool children open at 10:30AM, Tuesday through Friday. The zoo features more than 18,000 animals from 700 species on 90 acres, including an insectarium, childrens zoo, penguin & puffin coast and a zoo line railroad. Check out the website for general information & photos. Scottrade Center is a 19,150-seat arena located in downtown St. Louis, Missouri. It is the home of the St. Louis Blues of the National Hockey League. The arena opened in 1994 and was known as Kiel Center until 2000 and Savvis Center from 2000 to 2006. The current name comes from financial firm Scottrade, based in suburban St. Louis, who purchased naming rights in 2006. Six Flags St. Louis, originally known as Six Flags Over Mid-America, is a theme park located in Eureka, a suburb within Southwestern Greater St. Louis. City Museum is a play house museum, consisting largely of repurposed architectural and industrial objects, housed in the former International Shoe building in the Washington Avenue Loft District of St. Louis. The Loop offers six blocks of exhilarating one-of-a-kind shops, restaurants, art galleries, live music, café culture, and the St. Louis Walk of Fame. The Delmar Loop got its name over a century ago from streetcars that came west and “looped around” before connecting to other areas. That movement and momentum continues today, as The Loop expands with exciting new growth and development that has made it a destination. The Saint Louis Science Center, founded as a planetarium in 1963, is a collection of buildings including a science museum and planetarium in St. Louis, on the Southeastern corner of Forest Park. The Muny is the largest outdoor musical theatre in North America. They produce and present 7 exciting Broadway style musicals every summer. Many of the shows are whole family friendly so everyone can enjoy great theatre under the stars!